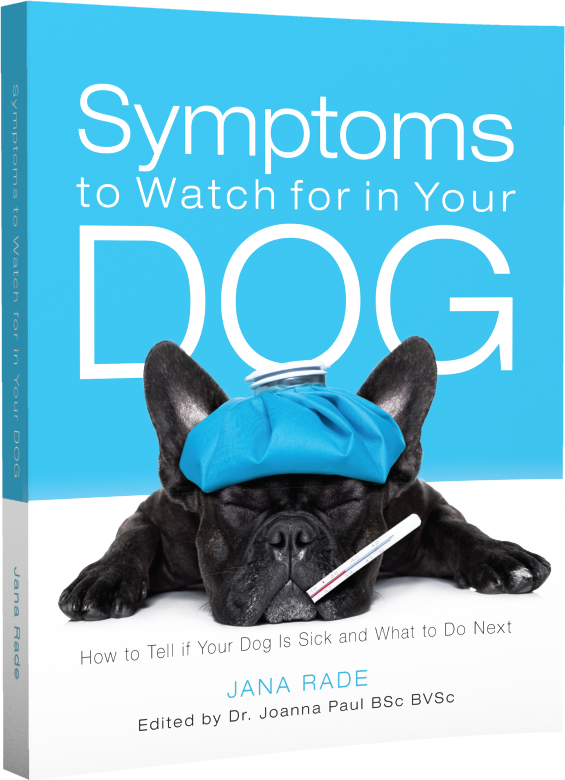 Symptoms to Watch for in Your Dog: Eye Discharge | Dawg Business: It's Your Dog's Health! To remain healthy and functional, the eyes are continuously lubricated by tear liquid. The job of this liquid is to prevent dryness, protect from irritants and debris, prevent infections, assist healing and even to nourish the surface cells of the eyes. You would be surprised how complex the tear liquid is. There is an outer lipid layer, which helps prevent it from drying out too fast, and a watery layer that contains all sorts of substances to perform the functions described above. Typically, your dog's eyes should receive just enough fluid to do its job and no visible discharge. 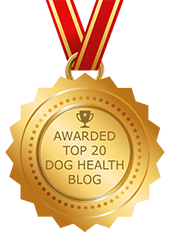 What does it mean when you do notice excessive tearing or discharge from your dog's eyes? Visible clear discharge is either due to excessive tear production in the attempt to flush something out of the eye, or reduced tear drainage, such as with blocked tear ducts. Problems with drainage are common, particularly in brachycephalic breeds. The tears can begin clear, but with time become brown due to the presence of porphyrins. If both eyes are involved, it can be dust, pollens, or other irritants. If only one eye is tearing up, there might be a foreign body such as an eyelash. Cookie once managed to get a whole blade of grass in her eye somehow. Naturally, we didn't wait for the eye to try and deal with it and gently flushed it out with sterile saline. Both JD and Cookie would get weepy eyes sometimes during the summer. JD's eyes would also be more watery because he had minor entropion--eyelids that roll inward. Not enough to warrant surgery but enough to make his eyes goopier than they normally should be. Clear discharge is usually nothing to worry about. Before you relax too much, however, it is essential to know that some serious eye conditions too can come with clear discharge, such as corneal wounds and glaucoma. 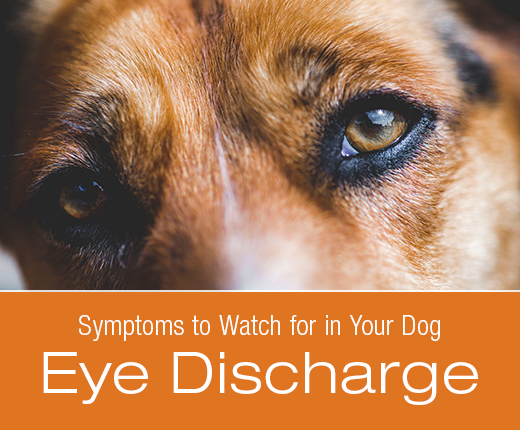 If clear discharge comes with redness, pain, and other worrisome changes, do see a vet. This discharge is thicker and more opaque. That is because it contains mucus that is trying to make up for insufficient tear production. It can be a sign of dry eye. Eye eyes will become red and painful and without treatment ulcerate. The test to confirm or rule eye dry eye is simple and well worth it to protect your dog from severe discomfort and loss of eyesight. Note: With sufficient inflammation or a secondary infection, a dog with dry eye can have discharge that is green in color (see below). Yellow or green discharge from anywhere equals pus which is considered a sign of an infection. That can often be true but what the green color really comes from is the presence of neutrophils, a type of white blood cells. The main job of neutrophils is to serve as the first line of defense against infections. However, they can also rush to a site in response to inflammation caused by other things, such as immuno-mediated reaction. An enzyme neutrophils use to devour their target is greenish in color. That's what colors the discharge. 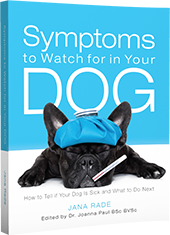 Whatever the cause of the inflammation, your dog's eyes will also likely be red and painful. On top of that, you wouldn't think that eye discharge can mean a problem elsewhere in the body but it could. What might look like an eye infection could be a systemic illness, or issue with the respiratory tract or nervous system. You know what to do--see a vet. Irritants, allergies, tear duct blockages, eye injuries, infections, or congenital conditions can all cause eye discharge--rarely, even problems not directly related to the eyes. The color and consistency might help indicate what the problem is but even clear discharge can be a result of a serious issue. If there are any other visual changes to the eyes, and/or discomfort, rubbing and squinting, don't take chances and see a vet. Eye problems can get spectacularly bad very quickly. I can definitely relate to this post. My dog Red was blind when we adopted her due to glaucoma. She was always on medication since she wasn't producing tears, but there were times when her eye would be very watery and other times one or both would be filled with pus. I always made sure to keep her eyes clean and made quite a few trips to the vet to ensure her medication was adjusted as needed. Our senior dog has cataracts. Otherwise, none of our dogs have experienced issues with their eyes. Our guinea pigs and cats have gotten debris in their eyes or infections though, and so I relate to what you wrote. My Chi's always have a bit of "rust" under their eyes. I try to stay on top of it but it's a daily battle. Our cats always have some eye issues but I think it may be because they go outside. I keep a constant watch in case anything else happens. I think if I saw something rather discoloured weeping from an eye I would be at the vet pretty quickly. It is important to take care of your dog and when it comes to the eyes than it gets more important if your dog is getting eyes problem then take them to the doctors or clear their eyes with a fresh water or even if getting serious than take them to the doctors. Nelly has some eye discharge when her allergies flare up. My sister's Pug had a problem with her eye and went to see a vet opthamologist in another city. Luckily she was okay. Ah, yes, eye goop! This time of year, spring, I do seem to find it more in my Huskies, most from allergens and irritants from digging in dirt. Great post...Pinning to share! I understand "teary" eyes, especially with my Persian cats. Brulee has it much worse than Truffle, but I'm constantly dealing with drainage.